The Healing Tree project supported COANIQUEM: a nonprofit treatment center located in Santiago, Chile, that treats thousands of pediatric burn survivors from across South America, and provides therapy, education, and housing for children and their families. The project is a comprehensive system of design and paper elements that transformed the treatment center into a magical land where patients go on a journey to find The Healing Tree. It included the development of a 30-page storybook, patient passport system and environmental graphics to guide these individuals through their burn treatment plans. During their recovery, patients are accompanied by two characters from the storybook, Camilla and Lucas—who are also recovering from burns — as well as a cast of animal characters. A series of 10 custom-made activity booklets contextualize the storybook’s elements and provide fun, simple activities that help the patients engage with their healing process. The animal characters that Camilla and Lucas meet along the way each represent a different treatment department. As children visit a new department, they collect an activity booklet, which also serves as a reminder for the next visit. The booklets are collected into a passport holder that has an empty tree on the cover, meant to be stamped with new leaves upon a visit to each department. Patients earn prizes, like animal toys and books, after a certain amount of leaves have been stamped onto their passport’s tree. 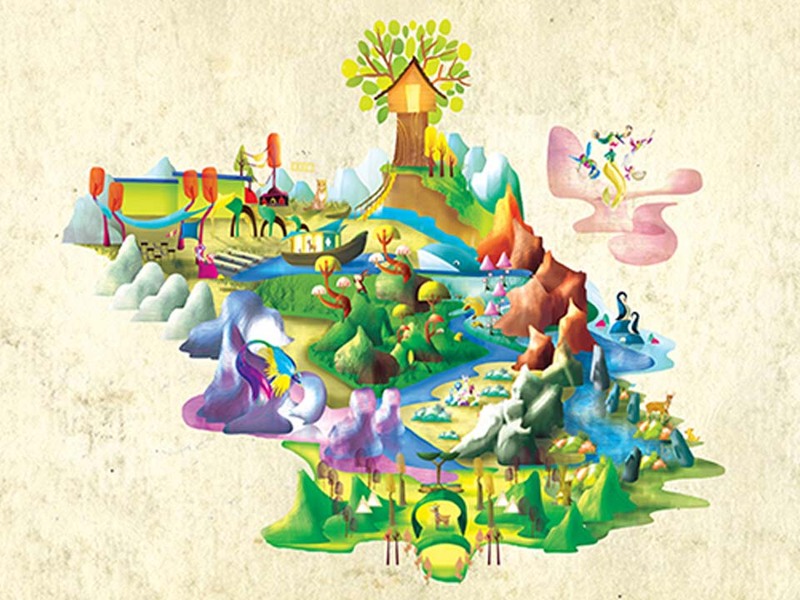 The environmental graphics developed for the center help expand the storybook’s world. Two of the main treatment hallways and several therapy rooms depict scenes from the storybook by using a strategically developed wayfi nding system and the friendly characters from The Healing Tree. In July 2017, with the help of the Ideas that Matter grant, the remaining environmental graphics were installed and 200 copies of the completed storybooks and 1,000 passports were delivered to COANIQUEM, bringing The Healing Tree to full implementation.